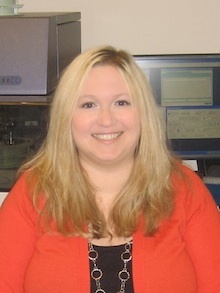 Vaccine researcher Nicole Sullivan, PhD, has been awarded a three year, $164,000 postdoctoral fellowship by the Cancer Research Institute. Sullivan's research will focus on how humans respond to the yellow fever vaccine, one of the most successful and long-lasting vaccines developed in the 20th century. She is working with Rafi Ahmed, PhD, director of the Emory Vaccine Center and a Georgia Research Alliance Eminent Scholar. How does yellow fever relate to cancer? The Cancer Research Institute is a New York-based non-profit focused on figuring out how to use the immune system to fight cancer, an active area of research that has been making strides in recent years. The Ahmed laboratory's research on the immune regulatory molecule PD-1 laid important ground work for anticancer treatments that are now showing results in clinical trials. Another emerging therapy is adoptive transfer of immune cells trained to have anticancer properties, which has shown efficacy against blood cancers and melanoma. Sullivan is planning to track over time how immune cells respond to yellow fever vaccine administration. "I'm thankful for this opportunity to deepen our understanding of how immune memory develops," she says. "One of the potential benefits of understanding how a successful vaccine induces long-term immunity is that this knowledge can be applied to develop new vaccines against emerging diseases or cancer."